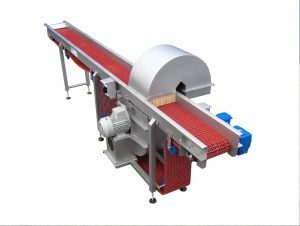 The empty shell blower is especially developed for the processing of fresh mussels. This empty shell blower takes seaweed and empty shells out by means of wind. Capacity8,800 lbs per hour (based on 27 mussels per lb) Length118” Width39” Height59"